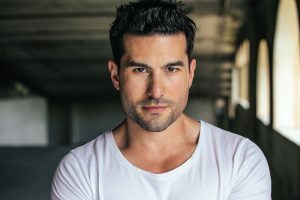 Daniel is an accomplished singer and songwriter and has written for and worked with artists and bands such as Tonic, Lifehouse, Maxwell, Pink, Pitbull, Chris Brown, and Boyz II Men. He works in both Nashville and Los Angeles alongside various producers such as Emile Ghantous of the Insomniax, The Cartoons (Charlie Wilson), and Philip Arron (Pink, Mary J. Blige). Daniel is also the paternal nephew of Lee Ving, infamous lead singer and creator of the punk rock band, Fear. Most recently, he has composed songs for Pitbull’s “Hope We Meet Again” off Pitbull’s platinum album, Global Warming, featuring Chris Brown, and Boyz II Men’s “As Long As I’m With You” off their album, Collide. His musical collaborations include work for/with Nasri Atweh (Magic), and Lifehouse. Daniel’s newest project, Chasing Trains, is set to launch in early 2018. Another project launching soon will be a collaboration with Steve Horner, known as “RedBoi”. Daniel is globally signed as a songwriter to Angry Mob Music Publishing based in Los Angeles, CA. Chasing Trains is launching in early 2018 with a series of singles being released every month. Based in both Los Angeles and Nashville, Chasing Trains was created by singer/songwriter and frontman Daniel Capellaro and composer/producer Steve Horner along with The Alius production crew, Matthew Nelson and Johnny Aqua. Chasing Trains is inspired by a blend of country pop and R&B/funk/rock.soul.